Landon Cassill picked up the 6th last-place finish of his NASCAR Sprint Cup Series career in Sunday’s 57th Annual Daytona 500 at the Daytona International Speedway when his #40 Carsforsale.com Chevrolet fell out with an engine failure after he completed 18 of the race’s 203 laps. The finish came in Cassill’s 152nd series start. This was Cassill’s first last-place finish in the series since last fall at Texas, three races ago, when he lost the engine on his #40 Hillman Racing Chevrolet after 134 laps of the AAA Texas 500. Cassill arrived at Daytona to begin his sixth Cup Series season and his third in a row driving for co-owners Joe Falk and Mike Hillman. 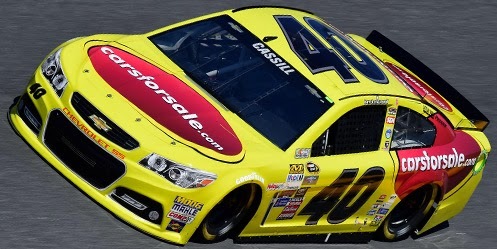 In 2014, the first full-season run for Hillman’s #40, Cassill raced his way into the Daytona 500 field and finished 12th, then soldiered through a tough three-race stretch where he failed to qualify for the next rounds at Phoenix and Las Vegas, then made the show at Bristol only to lose his primary car in a vicious practice crash. Carrying a variety of sponsors, Cassill made it through the remainder of the season, finishing 11th and a career-best 4th in the two races at Talladega. He also finished 12th in the XFINITY Series point standings, where he’s chosen to remain eligible for points in 2015. With 49 cars on the Daytona 500 entry list for the second-consecutive year (following the withdrawal of Joe Nemechek’s self-prepared #87 Chevrolet), Cassill hoped to rely on his restrictor-plate successes of the year before. He timed in 34th in the opening session, then jumped to 9th in the second as cars started to practice drafting. Last Sunday’s controversial qualifying session left Cassill just 47th-fastest of the 49 competitors, meaning that he would have to once again race his way in through Thursday’s Budweiser Duels. On Wednesday, Cassill improved again to 22nd-fastest in the third session and sat out the fourth, avoiding involvement in the multi-car pileup triggered by Danica Patrick and Denny Hamlin. Choosing to sit out the fourth session early Thursday, Cassill rolled out 23rd in Duel Race #1 that night. After three cautions, Cassill found himself closing on the lead pack at exactly the right time, securing him a 9th-place finish and the 17th place on the grid for his third Daytona 500. Cassill did not participate in the next practice session, but ranked 22nd of 25 and 21st of 35 in the final two, all the while keeping his #40 intact. Bobby Labonte, making his first start in Frankie Stoddard’s #32 C&J Energy Services Ford previously driven by Bobby’s brother Terry, secured the 43rd starting spot in the 500 field, but the field shuffled completely to nine backup cars, two driver changes, and an engine change falling to the rear. Joining this “to the back” group was Mike Wallace, who’d made his first 500 field since 2007 in Premium Motorsports’ #66 Crazy Vapors / X8 Energy Gum Toyota. Wallace held the last spot at the start, passed the backup car of A.J. Allmendinger on Lap 3, then retook it by Lap 7. By then, Wallace had fallen 3 seconds behind the rest of the field and was about to lose a lap. Then, as the leaders exited Turn 2 on Lap 19, smoke burst from beneath Cassill’s #40. He made it safely from the high lane to the apron, but as the caution fell, flames burst from beneath his Chevrolet. Cassill stopped at the entrance of Turn 3 and safely got out of his ride. Crews extinguished the flames quickly and the car was towed to the garage area, out of the race. Besides Cassill’s blown engine, the only other on-track incident during the first 161 laps occurred on Lap 42, when Tony Stewart lost control off Turn 4 and slid into the #21 Motorcraft Ford of Ryan Blaney, making his Daytona 500 debut. Matt Kenseth, who led much of the previous week’s Sprint Unlimited and Budweiser Duel Race #1, was rear-ended by Michael Waltrip, damaging both their Toyotas. Stewart’s damage kept him behind the wall for so long that he only briefly returned to the track before parking for good with 61 to go. Kenseth could only manage 35th while Blaney lost the engine late and finished 39th. 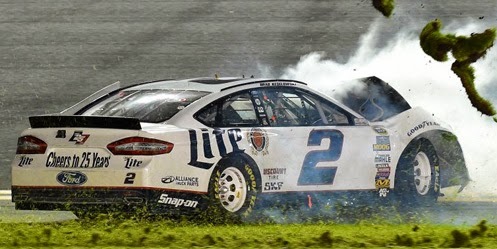 Between Stewart and Blaney was Brad Keselowski, whose engine on his #2 Miller Lite Ford also let go on the backstretch while running near the front inside the final 50 laps. 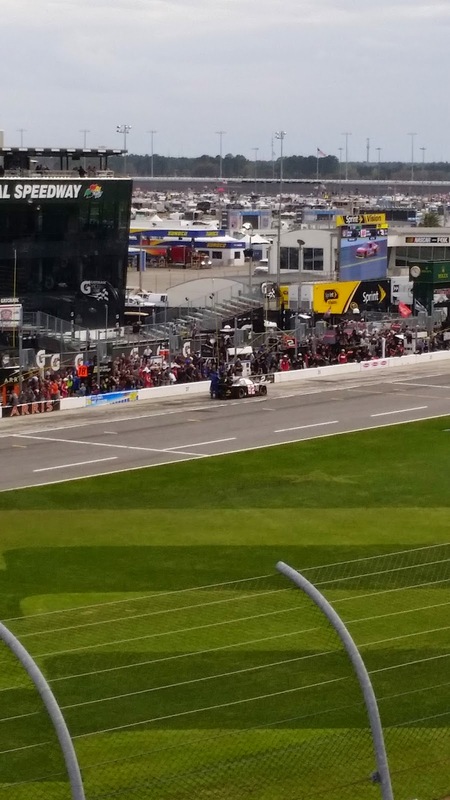 J.J. Yeley, who went behind the wall for what may have been a mechanical issue, returned to the track after Keselowski’s exit to pass him on the track, leaving his #23 MAXIM Fantasy Sports / Dr. Pepper Toyota in 40th. *This was the first last-place finish for the #40 in a Sprint Cup Series points-paying race at Daytona since July 4, 1977 when D.K. Ulrich’s #40 Hair Shack Chevrolet lost the engine after 4 laps of the Firecracker 400. It is the first last-place finish for both the #40 and Cassill in the Daytona 500. *This marks the fourth time in the last five Daytona 500s that the last-place finisher fell out with an engine failure in the first 50 laps. The lone exception is David Ragan’s involvement in a Lap 2 crash in 2012. 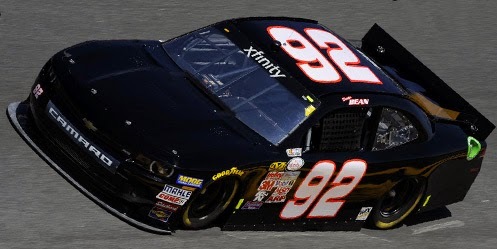 Dexter Bean picked up the 1st last-place finish of his NASCAR XFINITY Series career in Saturday’s Alert Today Florida 300 at the Daytona International Speedway when his unsponsored #92 King Autosport Chevrolet fell out with fuel pump issues after he completed 5 of the race’s 120 laps. The finish came in Bean’s 2nd series start. Bean was one of several drivers at Daytona who was making a return to NASCAR after a long absence. An ARCA driver with 9 top-five finishes in 70 ARCA starts from 2005 through 2008, Bean entered NASCAR on October 28, 2006 when the 19-year-old made his XFINITY Series debut at Memphis, coming home 32nd in Jeff Spraker’s #63 Ford. In 2009, Bean made a push to enter the Sprint Cup Series, driving a black #51 Dodge fielded by his family. 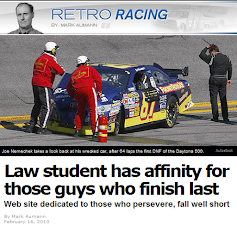 He qualified for just one of his seven attempts - a 36th at Pocono in a car sponsored by Livewire Energy. Qualifying was rained-out for the Pocono race, but Bean edged Derrike Cope for the 43rd starting spot based on his number of attempts that season. Bean also made three Truck Series starts that year, earning a career-best 17th at the Milwaukee Mile. The #12 he drove that day was owned by Canadian owner-driver Mario Gosselin, whose wife and Bean’s are sisters. On February 16, it was announced that Gosselin and Bean had reunited for 2015 to compete in the XFINITY Series. Gosselin, a journeyman driver with 19 wins in 7 seasons on the X-1R Pro Cup tour, had resurrected his King Autosport team last season with newcomer Martin Roy behind the wheel, earning a best finish of 30th at Phoenix. However, when Roy was injured while skiing in the offseason, Gosselin changed his plans to run a new team car, #92, and took the helm of #90. This left the seat in the #92 open for Gosselin’s brother-in-law. Gosselin and Bean were among the 47 set to compete to make their way into Saturday’s 40-car field. In practice, they were 14th and 36th, respectively, then 18th and 10th (out of 31) in Happy Hour. When the dust settled on another crash-marred qualifying session, both drivers had made the show - Gosselin in 37th at an average speed of 183.475 mph and Bean in 30th, running 185.056. For Bean, it was his first start in the series since his 2006 debut. For Gosselin, it was his first as a driver in 15 years, dating back to a 42nd-place finish at Gateway on July 29, 2000. Just five laps into Saturday’s race, Bean pulled his car onto pit road (as captured by LASTCAR photographer Rob Dostie), then pulled out of the race. The remainder of the Bottom Five wasn’t finalized until a grinding crash on Lap 92 when rookie Daniel Suarez’ #18 ARRIS Toyota lost control off the fourth corner, colliding with the #7 Hellman’s / Kroger Chevrolet of Regan Smith and triggering a 12-car melee. The collected Ryan Sieg, Scott Lagasse, Jr., and Chad Boat were ranked between Suarez and the tumbling Smith. 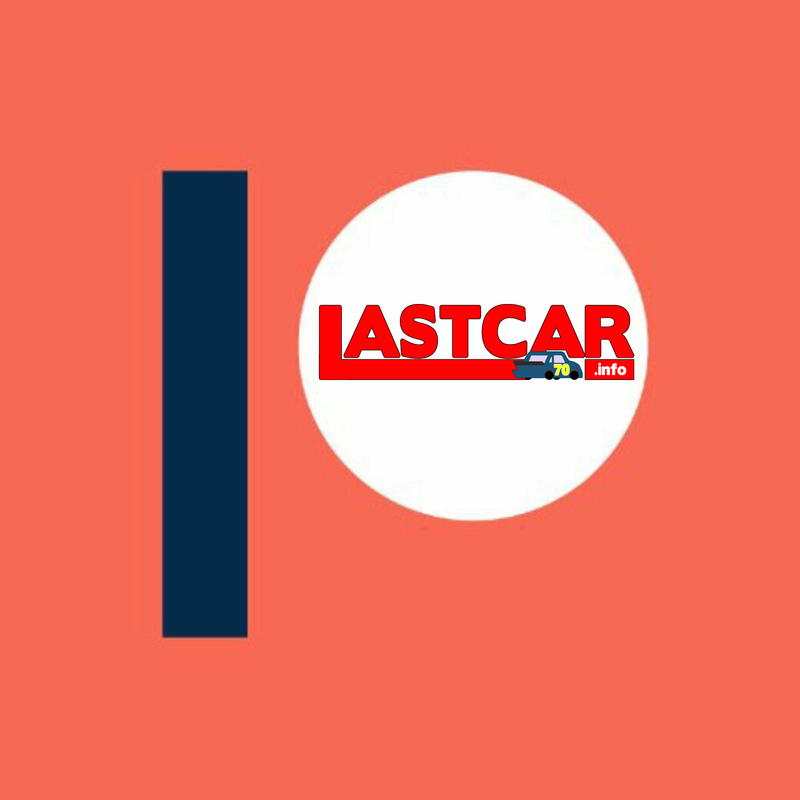 Lagasse, Jr.’s #10 entry was originally qualified by his teammate, three-time LASTCAR XFINITY Champion Jeff Green, who secured the 22nd spot in a flat white unsponsored Toyota. However, when Lagasse, Jr. was unable to get his #19 Alert Today Florida / Boy Scouts of America entry into the show, Lagasse, Jr. traded rides, and the TriStar Motorsports team managed to re-skin the car just in time for the start of the race. Unfortunately, the nose of the car was destroyed in the Suarez-Smith wreck, ending his run. Gosselin finished 15th in the race, his best-career XFINITY Series finish. *This is the first last-place finish by the #92 in a XFINITY Series race since Michigan since June 15, 2013, when Dexter Stacey’s Maddie’s Place Ford crashed after 6 laps of the Alliance Truck Parts 250. 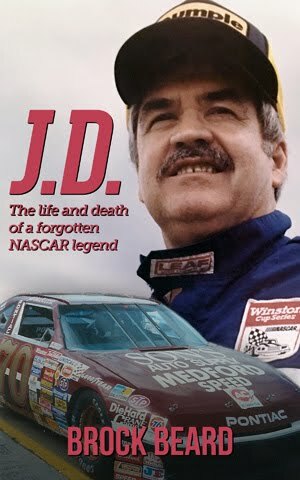 The number had never before finished last in a series race at Daytona. Justin Marks picked up the 1st last-place finish of his NASCAR Camping World Truck Series career in Friday’s NextEra Energy Resources 250 at the Daytona International Speedway when his #35 American Born Moonshine / GoPro Motorplex Toyota was involved in a ten-truck accident that ended his run after 12 of the race’s 100 laps. The finish came in Marks’ 36th series start. Marks arrived at Daytona looking to compete in all three of track’s major opening events. Unfortunately, his bid to make his first Daytona 500 field ended Thursday night when his #29 Toyota fielded by RAB Racing finished 18th in Duel Race #1, narrowly missing a transfer spot for what would have been his first Cup race since his series debut at Sonoma in 2013. On Saturday, Marks and RAB started outside-pole for the XFINITY Series opener, only this time he was collected in a grinding 12-car pileup on Lap 94 that left him 34th. This added to the frustrations of a difficult Friday night in Trucks. 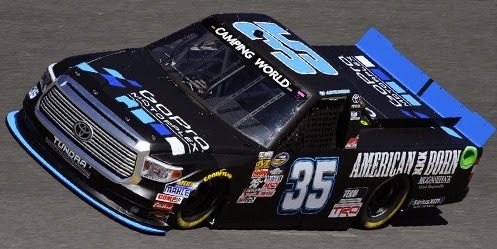 For the Truck Series event, Marks picked up a ride with Win-Tron Racing, the Kevin Cywinski-owned team which fielded ARCA driver Mason Mingus for most of 2014. With the 2015 Truck Series fields pared down from 36 starters to 32, many the 37 competitors on the entry list would all have to race their way in through qualifying. Marks looked to be a safe bet - he timed in 16th in the opening practice session and 12th in Happy Hour - but he still managed only the 27th starting spot with an average speed of 183.505 mph. Regardless, Marks was set to make his first Truck Series race since Atlanta in the fall of 2011, when he finished 28th in a one-off for ThorSport. Mingus, his predecessor, was the fastest of the five drivers to miss the field. NASCAR’s problematic new qualifying format left two-time defending series champion Matt Crafton in the 31st spot alongside Timothy Peters, who was sent to a backup truck after tangling with Norm Benning during the session. By Lap 3, however, Marks had taken the spot, penalized for changing lanes at the start. Marks returned to the track by himself, several seconds behind the field, and was lapped by Lap 9. Just three laps later, Marks was running in a second slower pack of traffic when trouble broke out in front of him. Austin Hill, making his 3rd series start, topped the charts in the opening practice session. Hill’s #82 A&D Welding Ford was running among the leaders when the left-rear tire came apart, sending him spinning into traffic. As he slowed with the rest of the field, Marks was rear-ended by the #1 Eagle Convenience Stores Chevrolet of Donnie Neuenberger, triggering a second wreck that took out both competitors. Marks, Neuenberger, and Hill were joined in the Bottom Five by Justin Boston in the #54 BitPay Toyota. Damaged in the first wreck, Boston’s steering broke on Lap 27, sending him into the inside wall off Turn 2. Two laps behind him was another damaged truck, the #11 Local Motors Toyota of Ben Kennedy, who slowed unexpectedly entering Turn 3 on Lap 50. When NASCAR failed to throw the caution in time, the leaders checked-up as they passed Kennedy’s truck, triggering a wreck that collected another 11 contenders. *This is the first last-place finish for Win-Tron and its #35 since last fall at Las Vegas, six races ago, when Charles Lewandoski’s unsponsored Toyota had a vibration after 5 laps of the Rhino Linings 350. The number had not finished last in the Daytona event since the crash-marred inaugural on February 18, 2000, when David Starr’s #35 Unified Office Network Chevrolet lost the engine after 10 laps of the Daytona 250. Josh Wise finished last in Thursday’s Budweiser Duel #2 at the Daytona International Speedway when his #98 Phoenix Construction / Curb Records Ford suffered electrical problems which allowed him to complete just 1 of the race’s 64 laps. 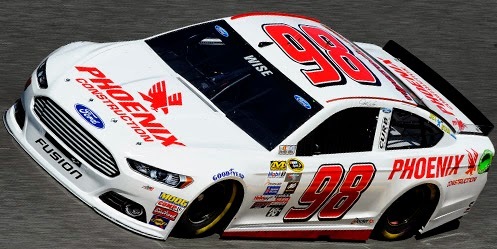 Wise and the Phil Parsons Racing team took a big step forward in 2014. 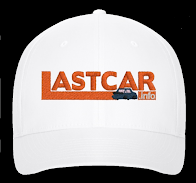 After three consecutive seasons as the LASTCAR Cup Series Champions with Michael McDowell, a manufacturer change to Chevrolet and a driver change with Josh Wise behind the wheel saw the team go without a last-place finish all season long. Thanks to a crowd-funded Reddit effort, Wise not only ran competitively at both Talladega races, but earned the Fan Vote for the All-Star Race. Heading into 2015, the Parsons team changed their car’s color from black to white, a scheme that debuted last November at Homestead. For Daytona, the car would carry sponsorship from both co-owner Mike Curb’s record company as well as Phoenix Construction, the company owned by former #51 team owner James Finch. The simple throwback scheme would debut at SpeedWeeks, where in 2014 Wise finished a strong 5th in Duel #1, earning him the 11th starting spot. In qualifying, however, Wise put up just the 46th-fastest time overall out of 49 entrants, meaning that he would have to race his way into the 500 field. He’d run 46th-fastest in last Saturday’s opening practice, 36th of 42 in the second session, then improved to 18th of 44 on Wednesday running in the draft before staying in the garage for the next two sessions. All seemed ready for Wise to make his move on Thursday night. As the field warmed up during the parade and pace laps, concerns arose around Carl Edwards’ new #19 ARRIS Toyota out of Joe Gibbs Racing, which had developed a soft brake pedal after a mistake while bleeding the brakes earlier that day. While Edwards was rolling in the 3rd spot, Wise’s Ford stalled at pit entrance, complaining of an electrical issue with the fuel pick up. The Parsons team faced a similar problem during last June’s race at Sonoma, where the team lost several laps trying to make repairs. Though Wise’s car fired up when the race went green, the team soon pushed the car behind the wall. He returned to the track 12 laps down, but after one circuit, went to the garage for good, knocking him from the 500 field. Wise was the only retiree until Lap 36, when three drivers in new rides tangled in the tri-oval. Rookie Jeb Burton in BK Racing’s #26 LiveDeal.com Toyota broke loose off Turn 4, then swerved into the right-rear of Sam Hornish, Jr.’s #9 Twisted Tea Ford out of the RPM stables, collecting Alex Bowman and his #7 Toy State / NIKKO Chevrolet fielded by Tommy Baldwin. All three fell out of the race with two missing the 500 field: Burton, who would have made his Cup debut, and Bowman, who ended up with Baldwin’s first DNQ in the 500 since the team’s formation in 2009. Rounding out the Bottom Five was Bobby Labonte, whose first start in the car his brother Terry drove in his final start last fall, the #32 C&J Energy Services Ford from Frank Stoddard’s Go FAS Racing, took a detour when he collided with the wrecking Danica Patrick on Lap 58. With the right-front tire shredding away bodywork, Labonte made it back to the pits, only to drop more debris on the track when he returned, ultimately taking him out of contention for the final green-white-checkered finish. 6th-place Ryan Blaney became the second rookie in five years to qualify for the Daytona 500 driving the Wood Brothers’ iconic #21 Motorcraft Ford, and he’ll attempt to equal Trevor Bayne’s upset win in 2011 in what will be his 3rd series start. 7th-place Reed Sorenson suffered heartbreak on Sunday when he blocked Clint Bowyer to try and get Johnathan Cohen’s underfunded #44 Team XTREME Racing into its first 500 field. Contact between the two cars sent both hard into the outside wall in Turn 1, and both cars were the most destroyed in the ensuing wreck. While Sorenson was himself unsure if the team had a backup ready, Team XTREME finished their backup in less than a day, got it race-ready, and locked themselves into the show with a late-race rally. It is Team XTREME’s first Cup start since last October at Martinsville and their first-ever start at a restrictor-plate track. 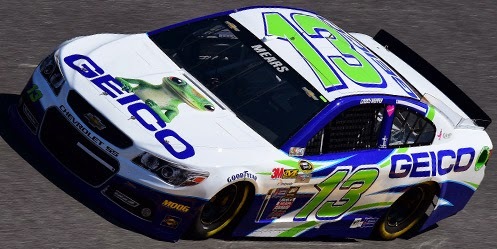 Sunday, the team looks to improve on their team-best 34th-place finish with J.J. Yeley last June at Sonoma. 8th went to Mike Wallace, the 55-year-old NASCAR veteran who’s biggest successes have historically come at the restrictor-plate tracks. Last fall at New Hampshire, Wallace made his first Cup start since 2009 driving for Identity Ventures Racing (now Premium Motorsports), the former NEMCO-JRR Motorsports team that owner-driver Joe Nemechek had started years before. Though other drivers complained about the #66 team maintaining minimum race speed, Wallace and team looked to make a statement at Daytona with sponsorship from a Crazy Vapors, a small business out of Georgia. Wallace did just that, remaining inside the Top 10 for most of the race’s second half, and avenging back-to-back DNQs in 2010 and 2012 with his first 500 start since a stunning 4th-place finish in the 2007 running. *This is the first last-place finish in the Budweiser Duel for Wise, Phil Parsons Racing, and the #98.